Here is information about a research resource for Auchenorrhyncha researchers. I’m posting at the request of Lew Dietz and Allen F Sanborn. We would like to make you aware of an exciting resource that is available to you at the Special Collections Research Center at NCSU Libraries in Raleigh, North Carolina. The Catalogue of the Cicadoidea (Hemiptera: Auchenorrhyncha) by Allen F Sanborn weighs about six pounds. It’s also one of my favorite cicada books, and it usually can be found on my desk. I use it mostly to verify the names of cicadas. This is the third in a series of catalogs and bibliographies of the Cicadoidea covering 1981-2010. 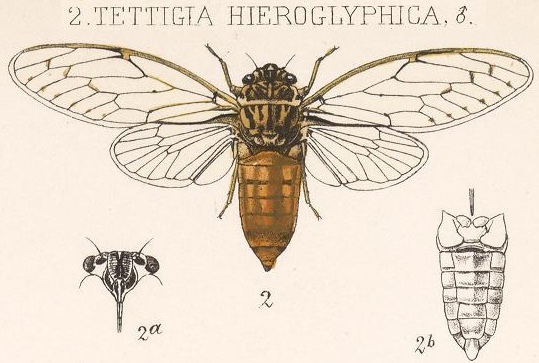 The work summarizes the cicada literature, providing a means for easy access to information previously published on a particular species or to allow researchers the ability to locate similar work that has been published on other species. A total of 2,591 references are included in the bibliography. The book is a source of biological and systematic information that could be used by zoologists, entomologists, individuals interested in crop protection, and students studying entomology as well as anyone interested in cicadas or who require specific information on the insects. Each genus/species is identified with the reference, the page number, any figures (if applicable), the topics covered by the reference, any synonymies, and any biogeographic information mentioned for the species in the individual reference. An added benefit to the catalog is that it is the first complete species list for the Cicadoidea, including all synonymies and new combinations through 2012. Over 3,390 varieties of cicadas (yeah, I manually counted the species).